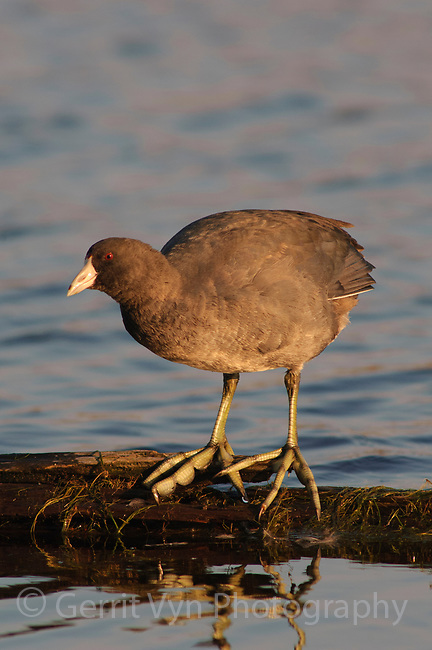 American Coot (Fulica americana) showing large lobed toes. Pocosin Lakes NWR, North Carolina. November.